POLICE will next week resume roadblocks and checkpoints on the country's highways to minimise road carnage ahead of the festive season, a Cabinet Minister has said. 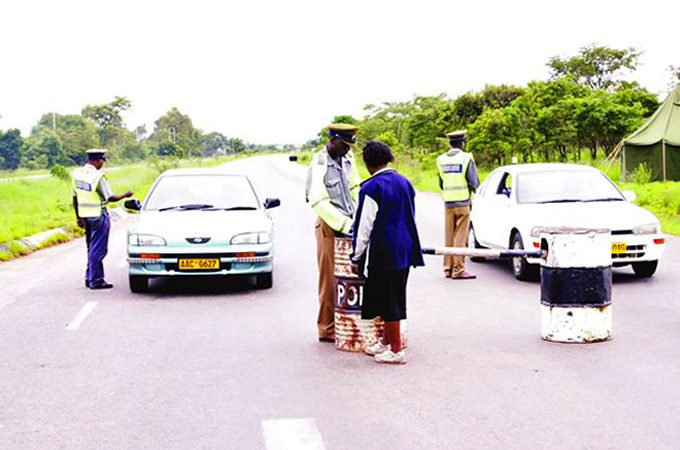 Transport and Infrastructure Development Minister, Engineer Biggie Matiza, said police will be working in partnership with the Traffic Safety Council of Zimbabwe and the Vehicle Inspection Department to restore sanity on the country's roads ahead of the festivities. A high number of accidents are normally recorded during the festive season hence the move to resume roadblocks. In an interview on the sidelines of the Ministry's Strategic Planning workshop in Bulawayo on Monday, Eng Matiza said police and other stakeholders will be on the road as from next week ahead of the festive season. "We've had quite a number of accidents in the past month and we are taking measures to try and reduce the carnage on our highways. The Traffic Safety Council of Zimbabwe has an extensive programme that they are doing on the roads together with VID and the police. So as from next week there will be many roadblocks whose purpose apart from enforcing traffic rules and regulations, will be to educate motorists on the importance of safe driving," said Eng Matiza. He said he was meeting Home Affairs Minister Cain Mathema tomorrow to discuss modalities of enforcing traffic rules and regulations. "There are laws that are there but they were just not being enforced. We have to make sure that those laws are enforced especially this holiday," said Minister Matiza. He said his Ministry was also working on a programme to engage stakeholders as it seeks ways of taming road carnage. "First, we had an inter-Ministerial meeting to draft a raft of measures meant to curb carnage on our roads and we are in the process of meeting stakeholders to get their input. This coming week we will meet among others transporters, drivers and passengers' associations to get their input" said Eng Matiza. He said the Vehicle Inspection Department will be out in full force to conduct spot checks and remove unroadworthy vehicles from the roads. Government in a bid to tame the traffic jungle, recently increased fines for traffic offences to as much as $700. Announcing the 2019 National Budget last month, Finance Minister Professor Mthuli Ncube justified the increase saying Government was concerned about the "high incidence of accidents on the country's roads, which have resulted in serious injuries and in some cases deaths of several people. Prof Ncube said it was sad that the accidents at times claim the lives of bread winners and also place a huge financial burden on the injured victims, relatives as well as the State. Meanwhile, commenting on the proposed Accident Road Fund, Eng Matiza said the announcement of funding by the Ministry of Finance and Economic Development during the budget presentation was a welcome development. "It's a welcome development for us and we will soon finalise issues to do with this proposed fund. The fund is meant to alleviate the suffering of those involved in accidents," he said. The fund will meet costs for ferrying the injured to hospital, treatment and other such expenses.